Imagine owning a string trimmer that advances line at the push of a button; well, dream no more because the new WORX 20V GT 3.0 Trimmer/Edger with the patented Command Feed™ delivers a ¼ in. of line at the push of a button. There’s no down time waiting for line to advance, which is how most trimmers with bump or auto feed operate. Imagine owning a string trimmer that advances line at the push of a button. Dream no more, because the new WORX 20V GT 3.0 Trimmer/Edger with the patented Command Feed™ delivers a ¼ in. of line at the push of a button. There’s no down time waiting for line to advance, which is how most trimmers with bump or auto feed operate. When using a grass trimmer/edger, most line usage occurs while edging. Once the line makes contact with hard surfaces such as concrete, asphalt or chain link fence, it shreds and depletes the line. WORX developed Command Feed so the operator can advance line instantly. No more awkward bump feeding or waiting for line to advance before cutting. With Command Feed, the user electronically controls when to feed more line by pressing the pushbutton activator. The 2-in-1 trimmer/edger is a powerful grass trimmer and a precision edger. Its twist-and-edge feature easily converts the trimmer into a wheeled, walk-behind edger for edging driveways, sidewalks, walkways and patios. The trimmer’s wheels help guide it without having to eyeball a steady line. As with all of WORX outdoor power equipment, the GT 3.0 eliminates the need for gas and oil. No more hard startups or obnoxious fumes. 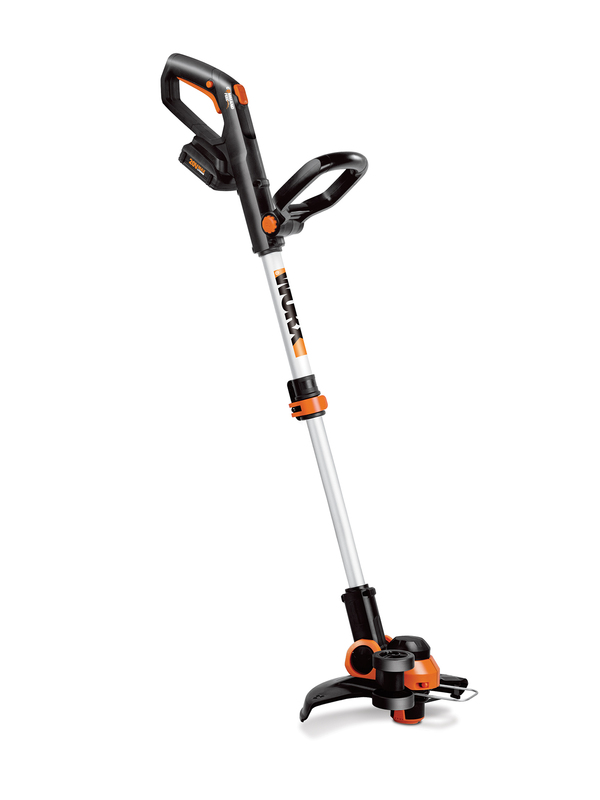 Balanced, lightweight and highly maneuverable, the GT 3.0 trimmer/edger has an adjustable telescoping shaft that extends to match the user’s height and posture when trimming. Plus, the multi-adjustable, front-assist handle provides a comfort grip for control and maneuverability. Also new to the WORX 3.0 GT Trimmer is the sloped rear handle. Most trimmers’ handles are straight. The new GT handle is ergonomically pitched approximately 70° to fit naturally and comfortably in the user’s hand. The trimmer’s trigger is an integral part of the handle grip. The Command Feed line advance control button is conveniently located above the trigger. The GT 3.0 has a 12 in. cutting swath and an adjustable metal spacer guard to help keep the trimmer’s line from cutting into flower beds, tree trunks, lawn ornaments and other sensitive areas. 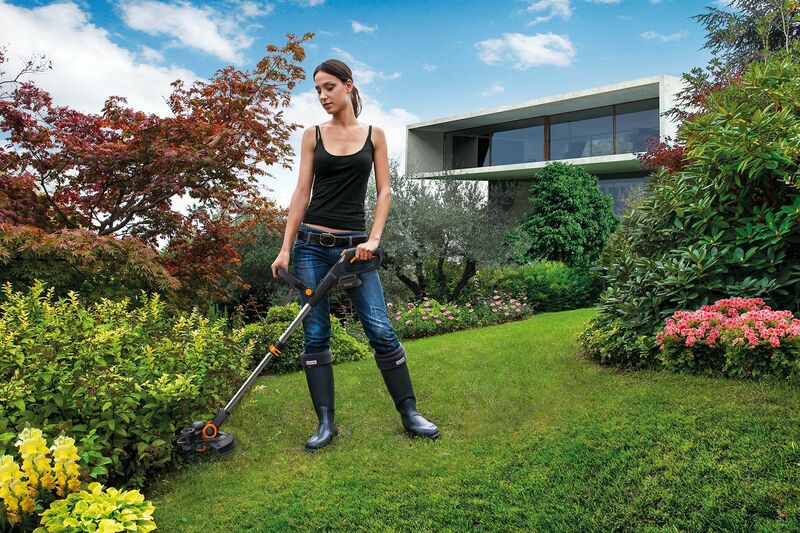 Unlike ordinary trimmers, the GT’s shaft tilts from 0 to 90°. This feature allows the user to trim beneath decks, shrubs and other obstructed, hard-to-reach areas. The grass trimmer operates at a no-load speed of 8500 rpm, driving the single, durable line (0.065 in, diameter) through grass, weeds and light brush. There’s no fumbling with line changes. WORX incorporates a quick-change, snap-in spool system and includes 10 ft. of trimming line. The company’s “Spools for Life” program begins once the GT trimmer is registered. The user receives free spools for the life of the tool and only pays for postage. The WORX 20V GT 3.0 Trimmer/Edger (WG163, $99.99) includes two, 20V 2.0 Ah MaxLithium batteries, 5-hour charger, and spool of line. 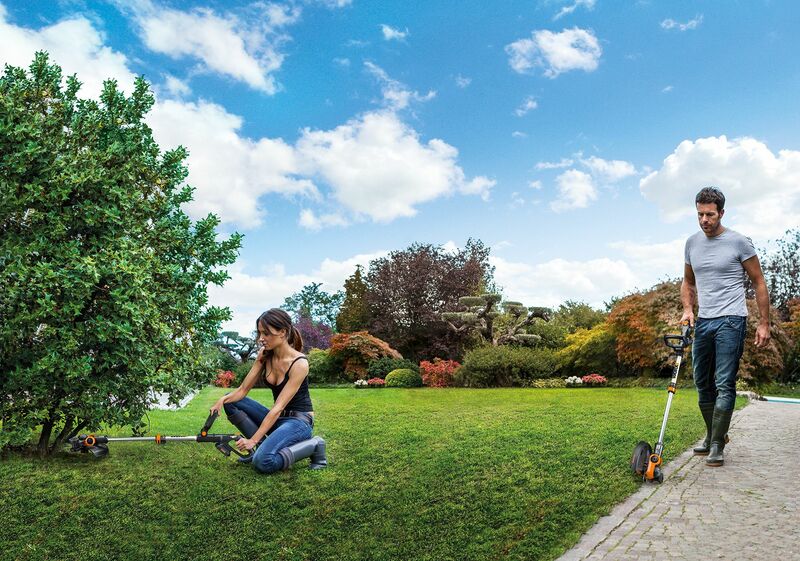 The trimmer is covered by the WORX 3-year warranty. It’s available at http://www.worx.com and other online retailers including Walmart, Home Depot, Amazon and Sears.